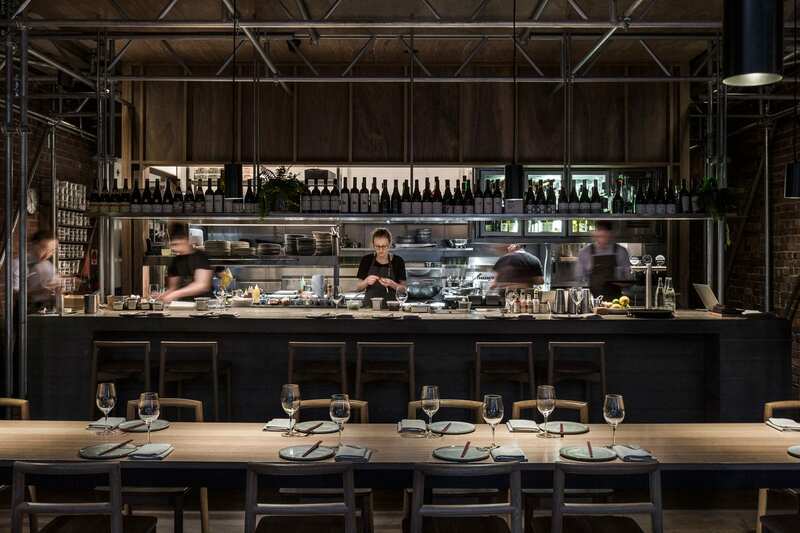 Sunda Dining in Melbourne by Figureground & Kerstin Thompson Architects. 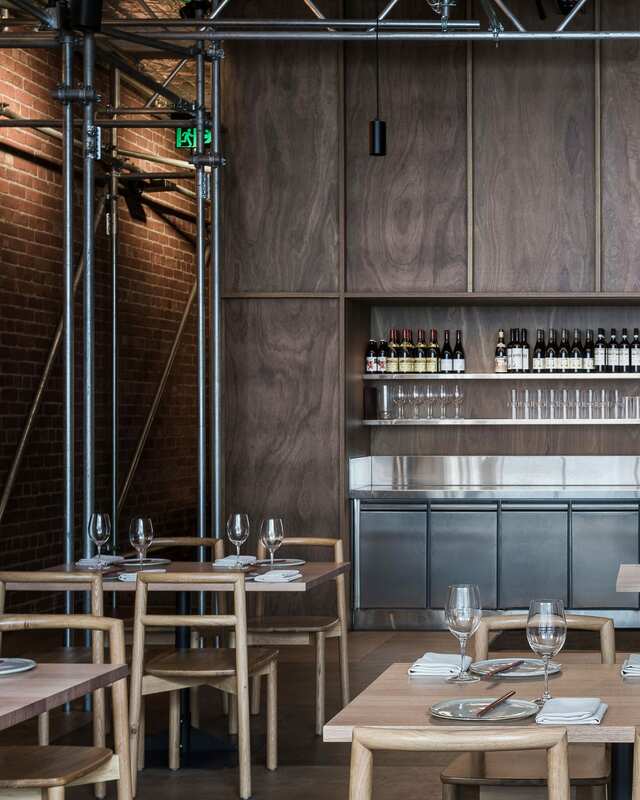 Celebrating its temporariness, Sunda is a delicate metallic structure that occupies the gap between its two brick neighbours on Melbourne‘s Punch Lane. 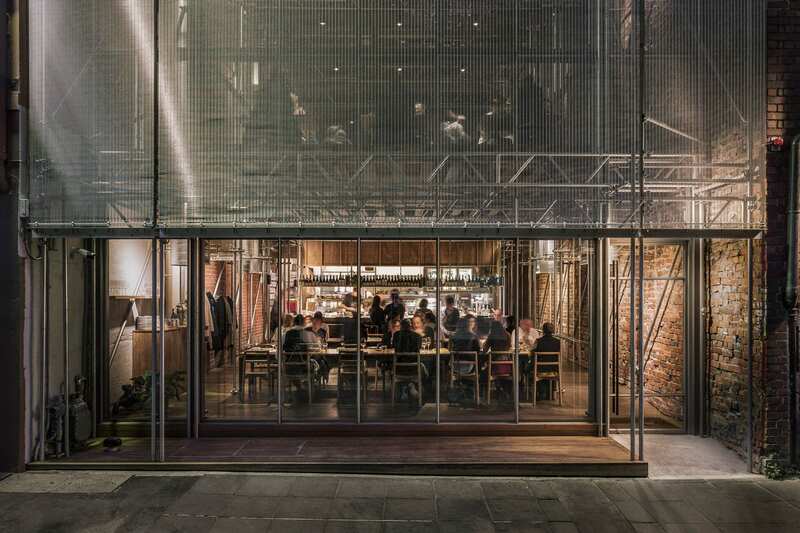 Figureground and Kerstin Thompson Architects have used a readily demountable and reusable armature of scaffolding shrouded with layers of woven metal mesh to form a street lantern at night, while housing intimate dining clusters over restaurant‘s two levels. An open kitchen bar connects diners to the theatre of the grill and the skill of chefs in action. Designed as a ‘pop-up’, a temporary feel was intrinsic to the original scheme. 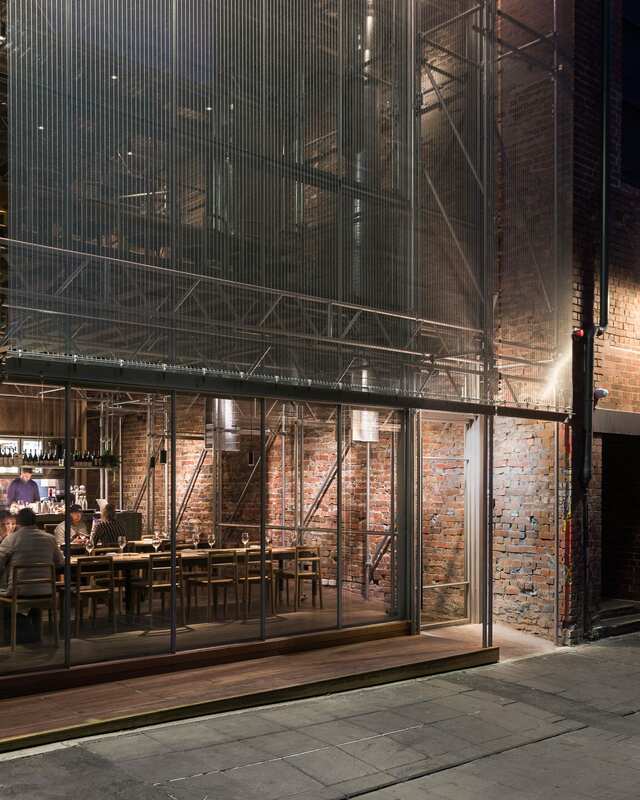 Sunda serves south-east Asian cuisine, so design references include paper lanterns that line the food laneways of Asia, which serve as both street lighting and signage. The design provides an alternative to the highly refined interiors common to hospitality spaces in Melbourne. Inside feels loose and casual, somehow between inside and outside. The neighbouring red brick walls are central to the interior palette and enrich the restraint of the new structure. Related: Stories On Design // Hospitality & Event Pop-Ups. 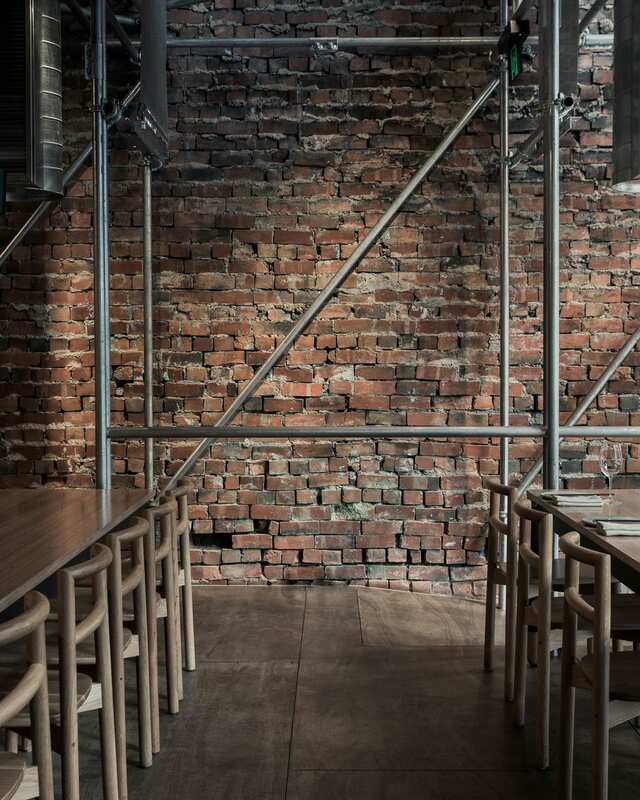 The 75-seat restaurant appears as a lightweight infill structure suspended in the leftover space between – and contrasting with – existing and more enduring boundary brick walls of its neighbours. 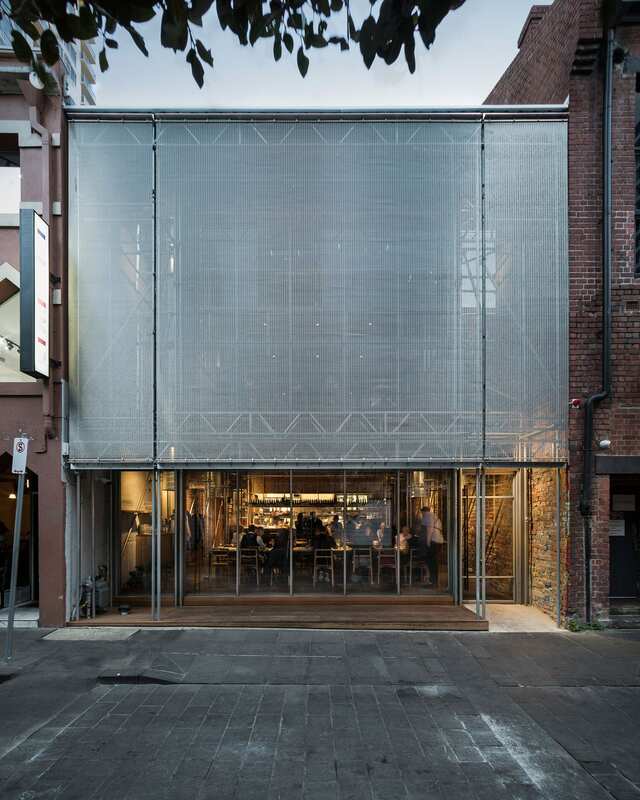 Wrapped in woven metal mesh and lit from inside it forms a glowing lantern in Punch Lane. 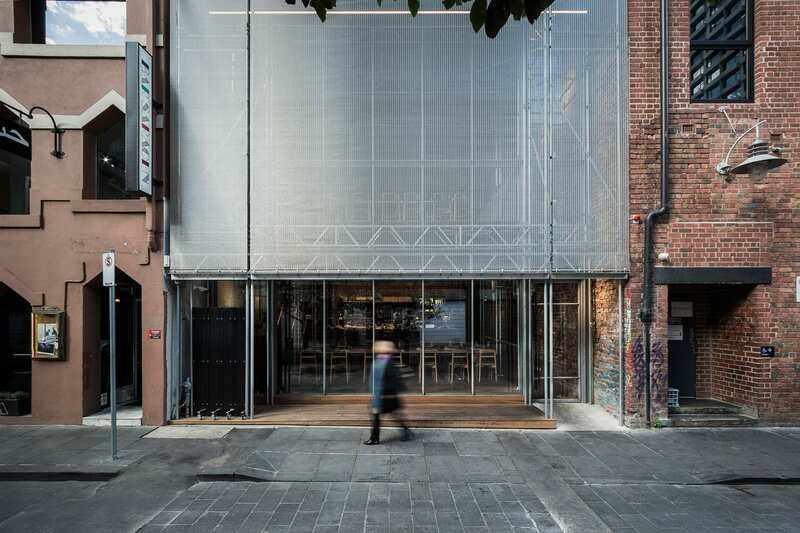 Apart from just looking cool, the temporary skin allows consequential removal (and on-selling) of the main structural system post its current use as a restaurant. 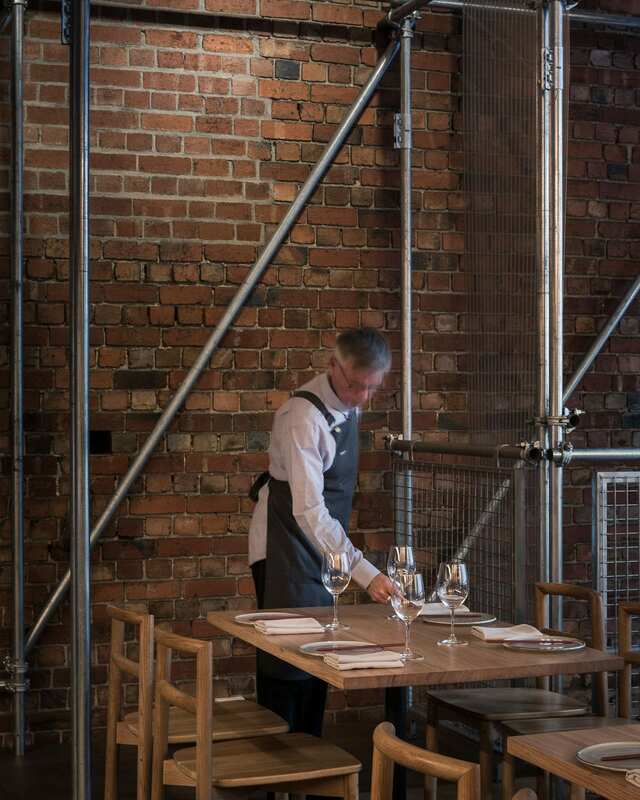 A steel scaffold system was the perfect option for realising this: readily available, easy to install, easy to remove and reuse, therefore minimising the wastage otherwise associated with temporary structures and hospitality fit-outs. 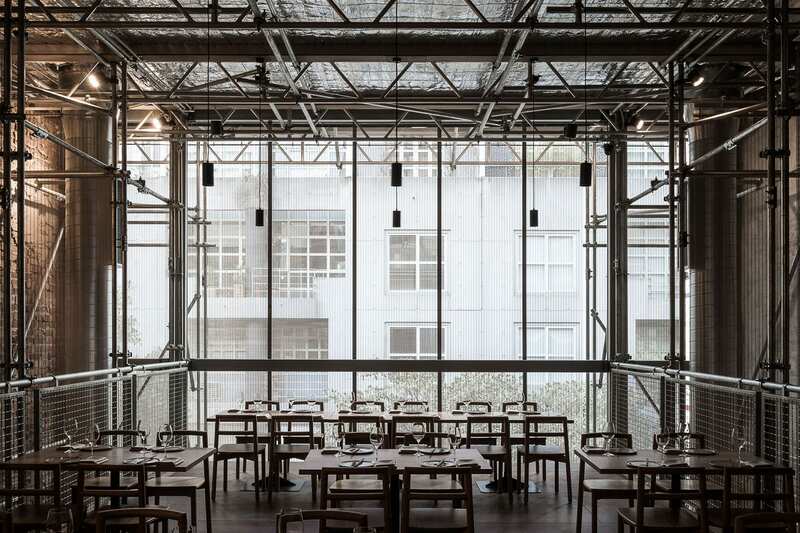 The use of unpainted scaffold with exposed tube and coupler fixings, clamped on lighting, and raw timber finish, connotes the temporary while also accommodating the essential needs of the restaurant in a restrained manner. Custom stools and the off-form concrete bar enhance the comfort of the dining experience. At Sunda, the enjoyment of food is the central experience. Figureground and Kerstin Thompson Architects’ scheme provides a compelling armature for cooking, eating and drinking with the sharing of exceptional food at its heart. 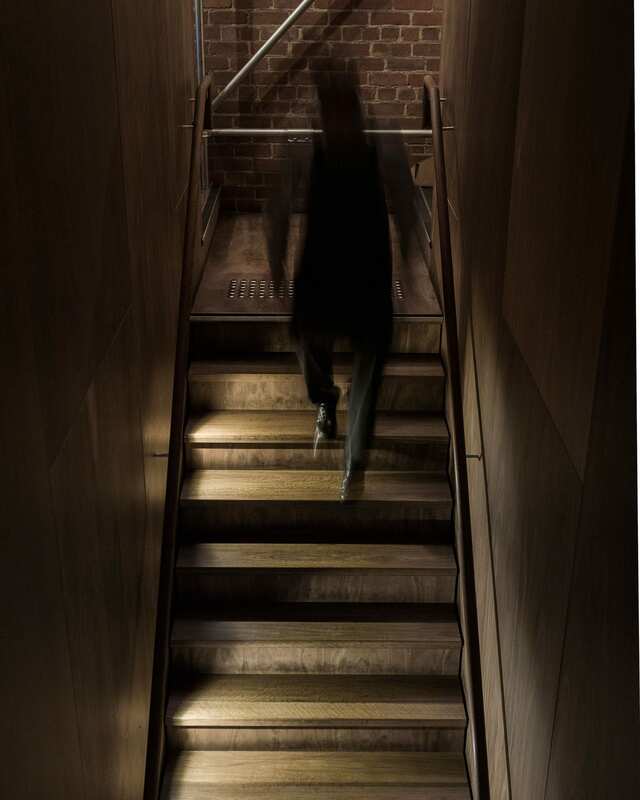 The post Sunda Dining in Melbourne by Figureground & Kerstin Thompson Architects. appeared first on Yellowtrace.